As anyone who has lived in the UAE for long knows, the country is made up of many nationalities. So many nationalities that it is referred to by some as a salad bowl as opposed to a melting pot. You might be wondering what this has to do with targeting individuals? Well, marketers want to reach as big an audience as possible who have an interest in the product or service being offered. For marketers living in the UAE, this is great! For example, John Doe, who works in a pet store, gets dog food ads on his Facebook feed, this is perfectly tailored to his interest. You might ask, how is this possible? The answer is Data Management Platform. It knows John Doe’s digital body language and that at 8 pm on weekdays, it is the best time to reach him with ads for Royal Canin. What does this mean for John? 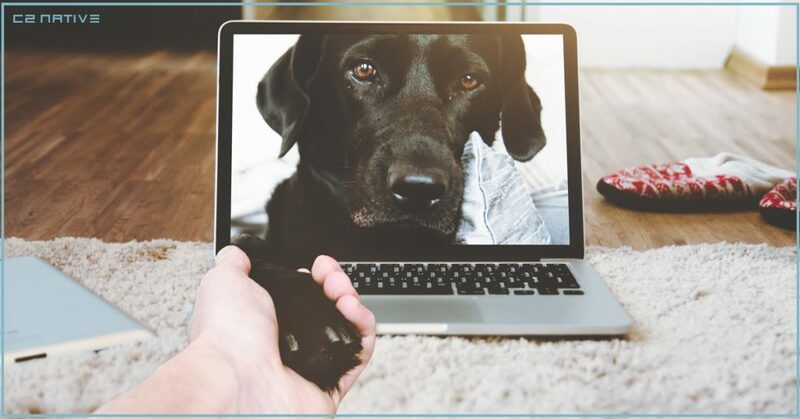 It means that she will receive ads marketed to him based on the dog training websites and Youtube dog videos he frequently watches and visits. The question is, with the surge in data-driven media buying, what opportunities do marketers have to implement hyper-customised communication? the ability to target specific market segments (personas) based on dynamic and unique criteria. delivering personalised messages that can engage individuals. making personalised marketing more powerful and effective due to a better understanding of audience culture and language. using data-driven marketing to help marketers connect with the end user or customer on a more emotional level so as to form a closer bond with the brand. Bill Miller of Media Exiles, an agency specialising on reaching varied audiences, adds that, “celebrations and cultural holidays are a great way to boost sales […] and to build a stronger emotional bond”. He further comments on people being very receptive to targeted messages relating to their culture. These occasions include occasions such as Diwali, Eid and Christmas. This is where data-driven marketing and a good technology partner can really make a difference to your marketing ROI! C2 NATIVE’s main approach is to use several technological solutions to analyse site visitors and customers. This helps to build a better understanding of potential consumers’ body language in order to enable the segment of one communication approach. This information equips us to run omni channel advertising campaigns. They are targeted directly at the people most likely to be receptive to the brand and its products. needs to be communicated in a manner that users find easy to understand. pay attention to minute details such as background styles, language and tone of voice. should give careful consideration to offers that are most appealing and a call-to-action that will get the most response. create content that is personalised for the user as this leads to more engagement and interaction. By using dynamic advertising technologies, it is easy to deliver varying messages to diverse groups of people. Something as little as adapting content for a specific user based on location, gender, age and language can make a huge difference. Modern data-driven marketing offers new opportunities to engage with a wider audience and customise messages to be more compelling. Therefore, using the latest technologies will benefit brands and enable them to have added spending power and reap the rewards of a largely untapped market. This is also more measurable and flexible, thus making digital marketing essential for any marketer wanting to expand their engagement with varied audiences. The take home message for marketers using personalised targeting is to adhere to His Highness Sheikh Mohammed bin Rashid Al Maktoum’s statement about UAE being a nation, “where different nationalities are living […] without […] racial discrimination or distinctions based on colour, religion, race or ethnicity.” Doing so will ensure a long-lasting relationship between prospective consumers and marketers.